As a teacher, textbook salesman and consultant for two major publishing companies, McGraw Hill and Holt, Rinehart and Wilson for nearly 20 years, he provided teacher training in reading and math, and visited thousands of classrooms all across New England. He served as a member of the Board of Education in his local community for six years and advised the New Hampshire Governor and State Board of Education Chairman on education policy. During his more than 20 years of federal service he has written legislation that has been implemented at both the state and federal level, and has initiated or assisted in the preparation and/or distribution of some of the most significant reports on reading instruction in the United States: Becoming a Nation of Readers, Beginning to Read: Thinking and Learning About Print, The Report of the National Reading Panel, Reading First, Early Reading First, Bilingual Education, Special Education, The Institute for Education Sciences Act, The Office of Juvenile Justice and Delinquency Prevention Act, Retarding America The Imprisonment of Potential, and, The National Adult Literacy Survey. 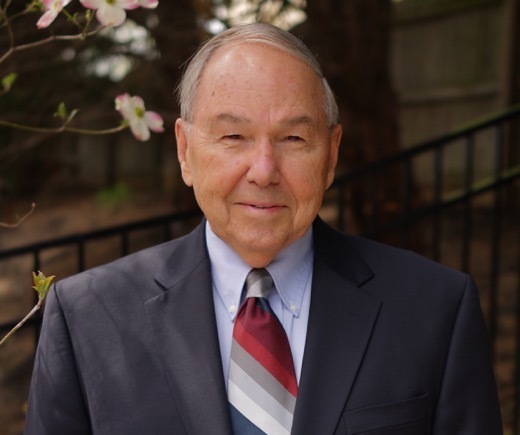 Bob has traveled extensively across the United States and visited many elementary schools to observe classroom instruction in reading that exemplified evidence based instruction. From 1994 through 2014 The National Right to Read Foundation has recognized a “Teacher of the Year” who exhibited the most evidence-based practices in teaching all students to read proficiently. It has been Bob’s objective and mission to provide the opportunity for ALL students to learn to read proficiently, no matter what their age, ethnicity, or economic status. He has been unwavering in his commitment to the use of direct, systematic, and intensive teaching of the five components of reading instruction that decades of scientific research have proven to work: phonemic awareness, phonics, vocabulary development, fluency, and comprehension. The National Right to Read Foundation is dedicated to these objectives with just as much passion and commitment as when it was founded more than 20 years ago.